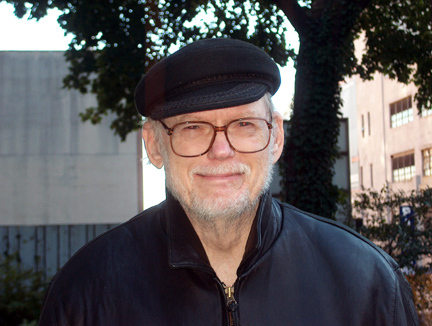 James Mechem, Beat Generation writer, Caprice magazine publisher, and native Kansan. Born in Wichita, KS in 1923, raised in Topeka; his father was Kirke Mechem, Kansas State Historian. He also started the Bowery Poetry Club, NYC. Photographed by Denise Low, Kansas Poet Laureate (2007-2009) and chair of the English Department, Haskell Indian Nations University, Lawrence, KS. Used with permission.